Simon Maxwell Helberg (born December 9, 1980) is an American actor, comedian, and musician. 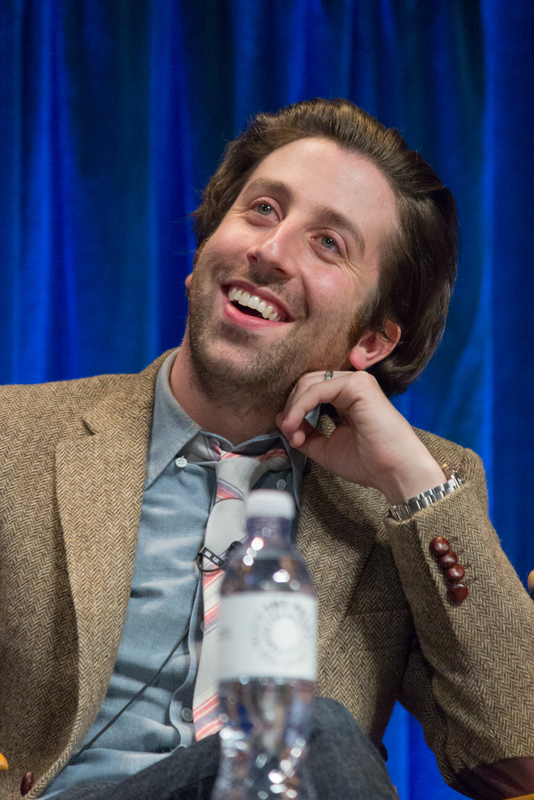 He is best known for his role as Howard Wolowitz in the sitcom ''The Big Bang Theory'' (2007–present), for which he won a Critics' Choice Television Award for Best Supporting Actor in a Comedy Series, and as Cosmé McMoon in the film ''Florence Foster Jenkins'' (2016), which earned him a Golden Globe Award nomination for Best Supporting Actor in a Motion Picture. Florence Foster Jenkins [videorecording (DVD)]. Toronto, ON : Entertainment One Films, . Burbank, Calif. : Warner Home Video, c2009. Burbank, Calif. : Warner Home Video [distributor], c2010.